Copan : Let’s go to the shrine to draw our fortunes in 2016,Emma! Emma : Wow!! Sounds very nice!! Let’s go now!! Copan：Hey Emma, What fortune did you get ? Emma : Oh yes, I got the luckiest one !!!!! and you Copan? Copan　：I got the unluckiest, Oh my god!! First of all, Wash both of your hands with a ladleful of water, and wash out your mouth too. But please do not put your mouth on ladle. Last of all, wash the handle with remaining water and then put the ladle back. 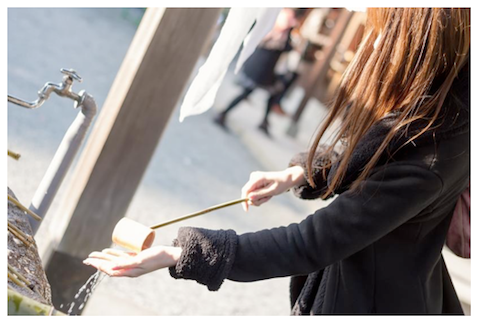 ※It is not polite to throw change in the offering box. ・Bow twice, Clap your hands twice, and then put your hands together and pray and bow again before you leave. 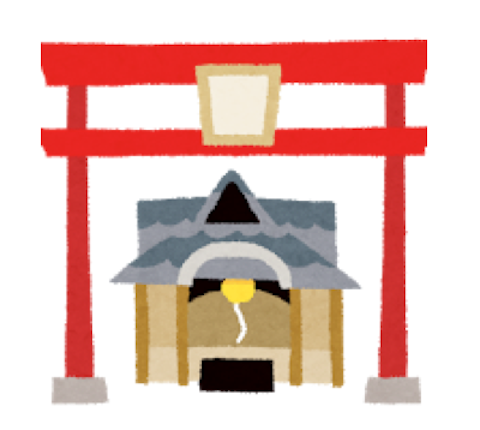 ※	Please do not clap your hands at the temple.